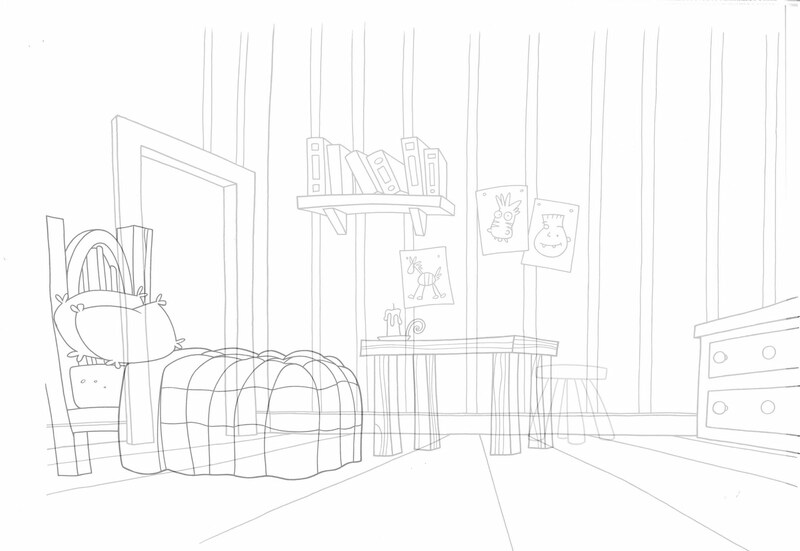 Here is the picture from before but with a clean line ready for colouring. 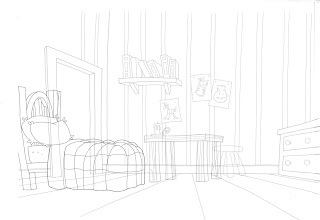 The bed, table and stool are on different levels so animation can be put behind them. You can see the back of the walls continue through the bed where you wouldn't normally see but this is for safety just in case in a later episode the bed or table need to be moved into a different position. It allows flexibility.